Wearing what magazines tell you to wear may be fashion, but it has little to do with style. Style is a personal matter. It's how Johnny Depp can get away with pairing wing-tip shoes and a fedora hat with a vintage 1970s white jacket that Elvis would have coveted. Fashion may substitute for style, but it isn't synonymous; find your personal style, and you'll never again have to hear, "You're wearing that?" Start with a realistic assessment of your physique. How you're shaped determines what works on you, and wearing what works is key to developing a great sense of personal style. Dress for the body you have rather than the body you wish you had. Horizontal elements broaden and shorten; vertical elements lengthen and narrow. No matter how much you may love them, a broad-brimmed hat will make you look like one of the dancing toadstools in Fantasia if you're short because that brim draws a strong horizontal line. If you're barrel-shaped, go with vertical stripes to lengthen your torso visually. No matter how you're shaped, fit and proportion can make or break your look. David Byrne and David Bowie are the only two men in history known to be able to rock an oversized suit without looking comical, and even they haven't tried it in the past couple of decades. If you love the look of roomy clothing, pair one big statement piece like a jacket with emphatic shoulders or slouchy pants with more closely tailored clothes. The same philosophy applies at the other end of the spectrum; skinny jeans and close-fitting jackets look best when they're set off with something not quite so tight. Once you have a feel for what looks good on you, fit those style elements into a framework that appeals to you. What styles strike a chord with you? Do you wish that waistcoats and spats had never gone out of fashion, or do you envy Richard Roundtree's wardrobe in the original version of Shaft? Copying another look or era exactly is a costume rather than a style, but you can and should use the looks you're drawn to as inspiration. You don't have to go full steampunk and don a monocle and top hat, but you can accessorize a suit with a vest and a pocket watch. If you love hip-hop style, mix baggy, low-slung jeans with a lean white turtleneck or t-shirt. Great style transcends fashion. It doesn't matter if fashion icons call snapback caps the next big thing if a fedora hat suits your sense of personal style. Wear what's right for you and set next year's trends. Thanks to Exec Digital and People for the pictures. FTC Disclosure: This is a Sponsored Post that was provided by Stetson. When I think of Stetson..I think of Cowboy hats. Even then..the one you choose can give one so much character from the shape and depth of the crown to how wide the brim is. Great post today. I love the fedora. Oh..thanks for starring Johnny Depp in the post today. Definitely love looking through the Stetson sight too. Great Friday post. Hats on a guy can be so cool. Great post. Oh, a hat can give one so much character. Especially, a fedora. 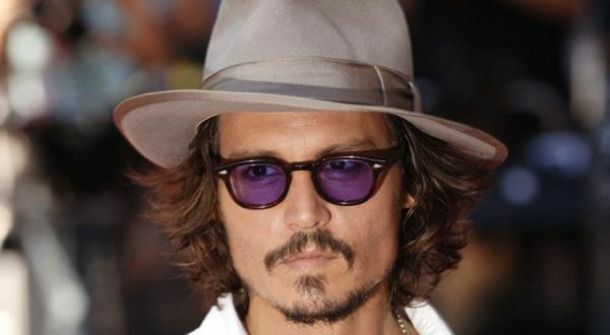 Love the Johnny Depp pics too. 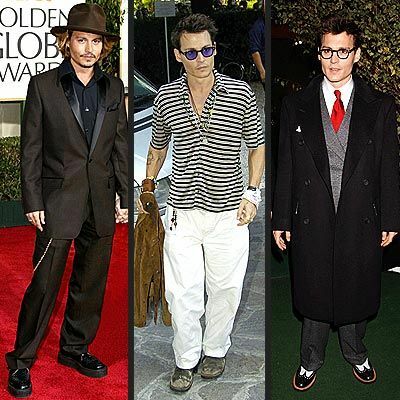 Fabulous photos, I seriously do not understand how he gets away with all these outfits! Love the article on this. I hadn't thought of STETSON in a long time. So true about shape! Men need to be more aware of that. Great post! I love fedoras and men with great style! I love the post today! I've been trying to look for the right inspiration to tweak my style, lately. Everything you say makes perfect sense! It's definitely true. Just like girls, guys have to wear clothes that work with their shape as well. Fit: key to any personal style! Mmm glad you used Johnny Depp as an example. ;) The funnest part is finding your personal style. It's a really exciting process. I love Johnny Depp so much! He definitely has his style covered. He always looks so good! I had thought about hats in a long time. I'm so glad you posted about this..and of course..starred Johnny!